Bronson Arroyo and the Cincinnati Reds won only their fourth game of their last ten on Thursday beating the Dodgers 7-1. During the Reds' three-game losing streak against Kansas City and Los Angeles, the reds were outscored 25-5. Arroyo admittedly had no command of his pitches on Thursday. The only pitch that was cooperating with Arroyo was his sinker as he used it to entice three 3-6-1 double plays in which he assisted. Aside from a career high six walks during his seven innings of work, Arroyo gave the Reds an early 3-1 lead with a three-run jack during the second inning. It was Arroyo's fifth career homerun and first since 2008. The Reds are now headed to the West Coast for six games against Seattle (25-41) and Oakland (33-35) beginning Friday. During the past four years the Reds are 13-32 out west. During the Reds ten game home-stand, Jonny Gomes remained solid going 10-32 with 12 RBI (including a career-high 6RBI game against the Royals). Gomes owns a weak .205 average in thirteen career games against the Mariners, but has far superior numbers against the Athletics (.308AVG and 12RBI in 17G). With the Reds leaving Cincinnati after a disappointing ten days to explore Western America, expect Gomes to manhandle his former league over the next week and ignite the Reds' offense. Here are some interesting #gomesfacts collected from the world wide web. Enjoy. Jonny Gomes once went on the 15 day DL, just to see what it felt like to be mortal. MLB is considering putting Jonny Gomes DNA on the list of banned substances. Jonny Gomes can throw a one-hopper from the warning track to home at GABP. He can do this while playing in Pittsburg. 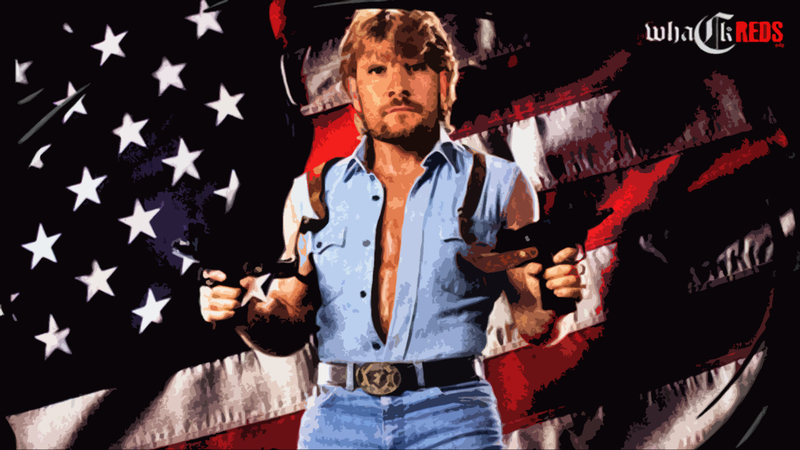 Chuck Norris won't fight Jonny Gomes. On a scale of 1 to 10, Jonny Gomes is awesome. Johnny Gomes blows bubbles with peanut butter. Jonny Gomes' bat is the cause of global warming. When taking the SAT, write "Jonny Gomes" for every answer. You will score over 8,000. 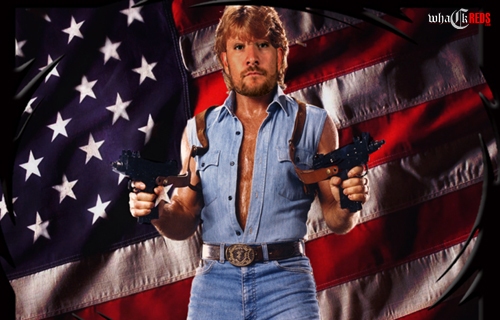 When Jonny Gomes puts on Chris Sabo's RecSpecs, he can see the future. Jonny Gomes' Gmail account exceeds 1GB. Jonny Gomes once took one of Dusty Baker's toothpicks to the plate as a bat, and got an intentional walk. Jonny Gomes doesn't sleep........he waits. Jonny Gomes even hits pitches thrown by used car salesmen. When Jonny Gomes falls in water, he doesn't get wet. Water gets Jonny Gomes. Jonny Gomes doesn't mow his lawn. He begs it to grow. Jonny Gomes' mom has a tattoo that says "son." Jonny Gomes was what Willis was talkin' about. The G in OMGreds stands for "Gomes." Superman wears Jonny Gomes pajamas to bed. Jonny Gomes can eat more ice cream than Jeff Brantley. Barely. Jonny Gomes once left Marty Brennaman speechless. Jonny Gomes can touch MC Hammer. For Jonny Gomes, the warning track isn't there to warn him, it's there to warn the wall. Johnny Cueto (6-1, 4.50) will face Cliff Lee (4-3, 2.88) and the Mariners at 10:10pm on Friday.